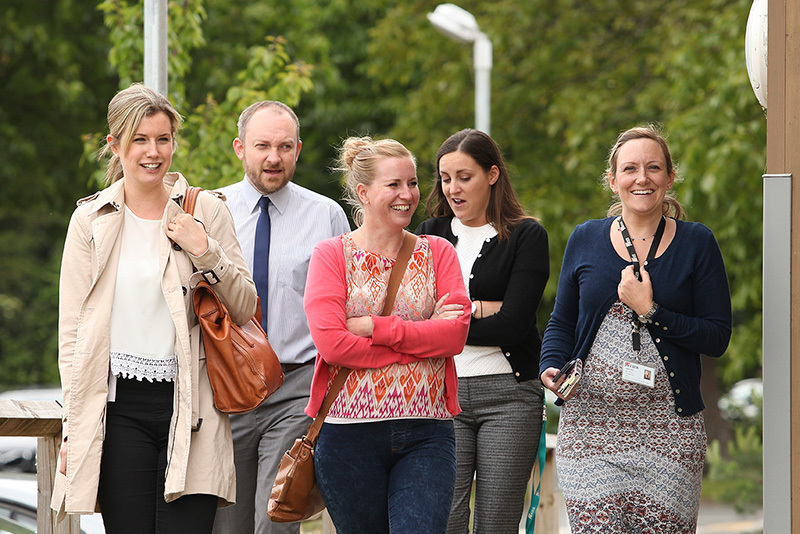 Please excuse the cheesy blog title but last Thursday I celebrated my 'Year at Kier'! For me this is a particularly significant milestone in any new job. This is because it means you have seen through all of the key milestones (i.e. preliminary results, roadshows and conferences) and as a result are less likely to be surprised by any out of the blue tasks. It also means that I can now be confident in planning the use of my time even more effectively. 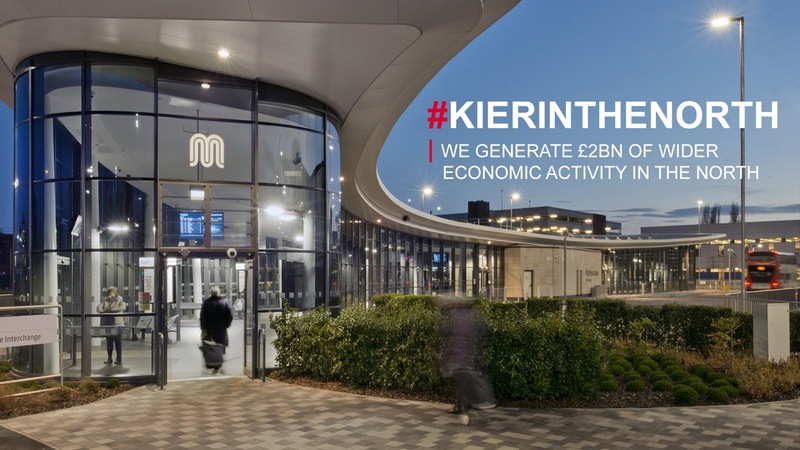 Whilst at Kier I've been particularly thankful for the opportunity to launch some very sizeable projects and see them through to completion (Kier Album, our first external marketing campaign in #KierHeroes, an entire social strategy and training programme, the Marketing Hub etc.) 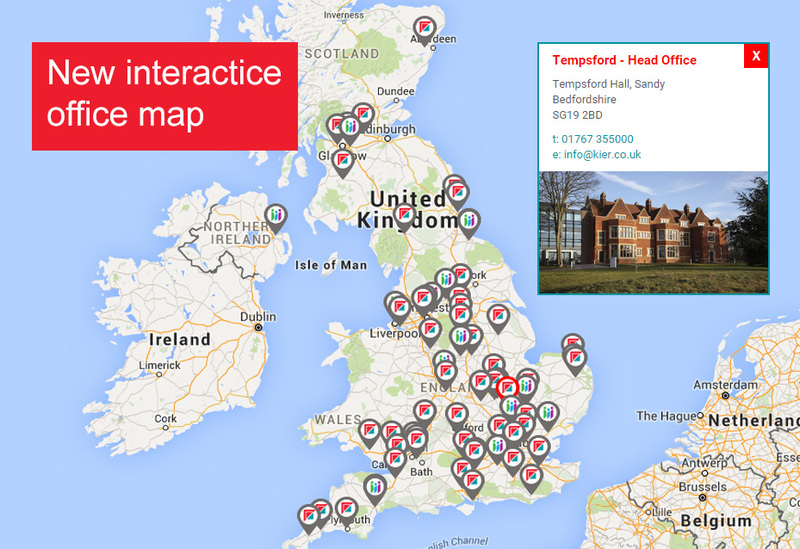 and last week saw the launch of another large piece of work in our new online office map. This all started following some initial website analysis where I identified office locations as one of the top three things searched for on our site. The other two are the investor relations/share price sections, (for which I have already updated a clear workflow and content schedule) and the careers section which was updated in December following the integration of a new back-end management tool. As always the hardest part was ensuring that all of the information was correct and owned by the respective offices. Fortunately I was able to tag this data collection on the back of the offline brand audits. All office locations were visited just before Christmas to update the external signage etc. and at the same time I created a briefing document to be completed at each location on a mobile device and immediately saved online so we could feedback if we required more information. They even took photos of all of the offices and where there were gaps I filled them in with my regular 'Kier Offices' photo series on Twitter! Being completely digital has made this a smooth process with the only drawback being I wasn't required to travel to Australia to complete an audit myself! From the analytics it's also clear that this is a tool which is regularly used internally so once the team had done a great job of inputting every location I ensured a decent testing period to get feedback from colleagues. Interestingly, all of the comments which came back related to the data and not the functionality which meant any changes were very easy. Carrying on the geographical theme I've also been called in to action this week to run our latest online campaign '#KierInTheNorth'. This began with an event in Manchester and I have put together a long list of social/website activities to really capitalise on the government's Northern Powerhouse agenda. 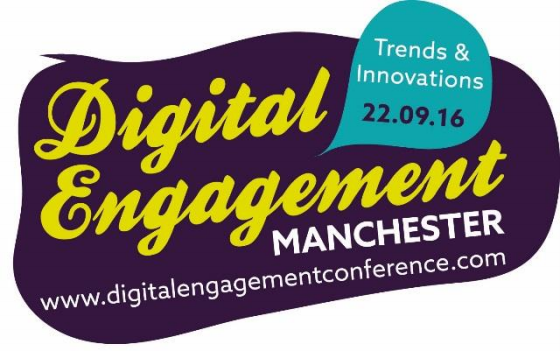 I'll also be taking a trip to Manchester myself later this year as I have been asked to present on 'Digital Integration' at the Digital Engagement conference in September. Although, being from Southampton originally, everywhere north of the Thames is 'North' to me! So there you have it, we now have an online map which easily allows us to continue to represent the increasing scale of our business. Let's hope that at this year's staff summer party there's a quiz round on 'Kier office locations. If so, my team are going to completely ace it - especially the 'longitude and latitude' round. Every day I continue to learn something new, and in early January this was to be what it was like to be externally audited as a department! With my wife being a teacher I am used to hearing about the prospect of the dreaded Ofsted coming in to pass judgement on working practices and thought that working in marketing would mean I would escape this level of scrutiny. Failure to pass would mean we were responsible for the business not gaining this certification and would also mean how we work would need a major overhaul. We take great pride in what we do as a department and already had a strong set of processes in place for all of the services we offer. This means mapping everything from the process of compiling a marketing plan, to how to request, set up and manage social media channels and how to make a request for graphic design work. In preparation for the visit we ensured we pulled together all of our 20+ processes into one document alongside an overview of the key objectives and responsibilities of our department, examples of all of our communications (newsletters, marketing council follow ups), analytics (for all of our internal and external channels) and live examples of our project management tools (currently in Trello). If you have a written down process that no one ever follows, then you do not have a process. "A systematic, process based approach to marketing, provided as a centralised support function - January 2016"
This was a massive achievement for us to be recognised as professionals in our field with an international award that is valid for three years. Importantly, it confirms our commitment to our colleagues. 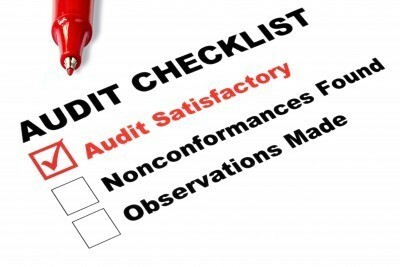 Finally, the auditor commented that he was particularly impressed as Marketing is not generally an area to demonstrate this process driven approach (e.g. in the same way as health and safety departments do) and that he usually arrives to find a few bullet points written on the back of a beer mat! Extra kudos for us then and now the fun work begins of using our 'approved' marketing skills to promote our way of working to other departments! Everything that can be moved online is pretty much there already - shopping, dating, live video, newspapers - it's all there and is easier to access than ever before. Despite this, one thing I've noticed is that most companies still insist on producing PDF versions of their brand guidelines. These important documents are representative of a living entity that evolves through usage and time and one of my frustrations is how often I see PDFs being used when the content should be a web page whether it be in internal emails or downloadable brochures - what a missed opportunity to get some audience insight! It’s obvious that a static PDF document can’t be fit for this purpose. No big brand is the same as it was a year ago and therefore these guidelines need to be able to accommodate this continual growth, evolution and refinement. If you can manage to keep them up to date and ensure that every colleague is working from the latest version then that is a very impressive feat - especially bearing in mind the multiple intranets and shared drives many large companies have! 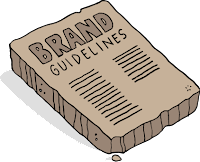 By moving these guidelines online it makes the process of keeping them current much easier and enables continual review and updates as the brand evolves. Another issue this solves is that of allowing the business to access the latest versions of the logo, fonts and other design assets. Rather than reading about them in a PDF and then having to hunt for/request them they can just download them there and then. Being online opens up further possibilities to enhance understanding with simple interactive tools to help users of the brand. For instance, rather than a list of logos, you can create a ‘Which logo should I use?’ tool. It can ask 2-3 multiple choice questions on usage and then provide the correct artwork for download. A blog/newsletter to showcase recent project examples is also be a great way of improving understanding amongst brand users. In many ways brand guidelines are indicative of showing that the digital age hasn't really happened. Any guidance on digital use, the brand UI and interactions is – for the large part – absent. This makes them redundant for how most people are using them and they are not addressing the real world application of people setting up microsites and social media pages. If you're not giving the guidance then it's your fault if lots of off brand accounts are popping up across the internet! As the brand grows there is also more to it than simply a description of the colours, fonts and logos to use. Ideally an entire brand repository should be built where brand personality can sit alongside the identity guidelines. An excellent example of this is MailChimp's Voice and Tone which articulates how the company’s voice and tone should shift across a variety of touchpoints. 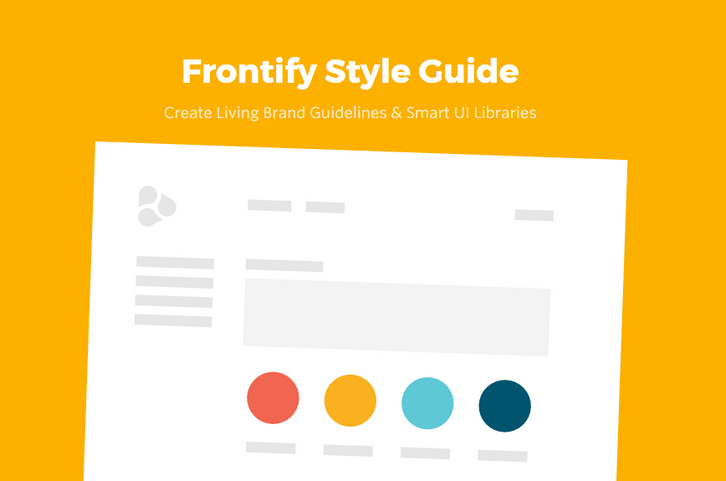 Writing style is also essential now that digital has made it much easier for everyone to publish themselves so a great way to maintain a consistent writing style for an organisation with many voices is by publishing a writing style guide. 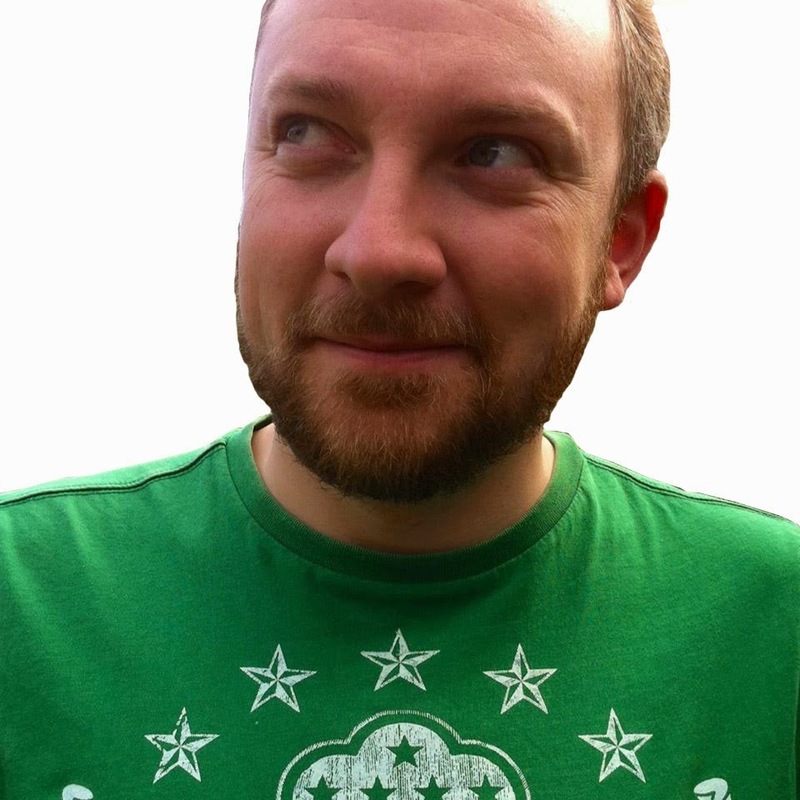 Providing writing for the web guidelines is extremely important when championing a digital first mentality. I'd also argue that the added benefit of having online, searchable guidelines is the ability to utilise the analytics to see what your colleagues care about and how deep into your brand they delve. That way it can help you concentrate on what to develop in the future. That's more than any PDF will ever tell you! 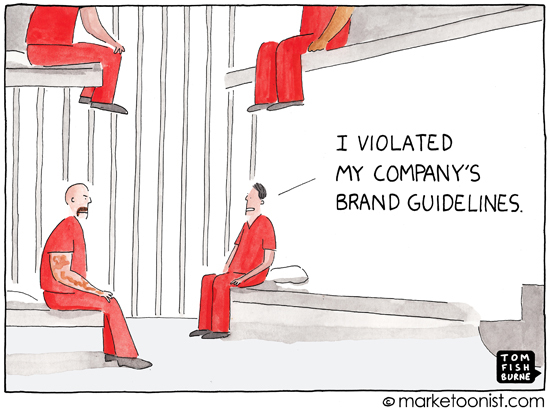 To enable effective brand governance, a living, up to date set of guidelines is the way forward. This means moving them online not as an afterthought, as budget might allow, but as a priority. 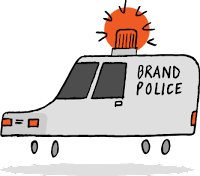 Without this, as the brand gets used by an expanding range of colleagues and agencies, across different regions, the best you can hope for is small inconsistencies to crop up. 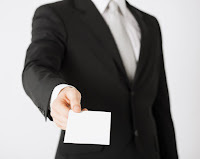 More likely you’ll face a never ending wave of brand mutilation and mutation that will become impossible to control.